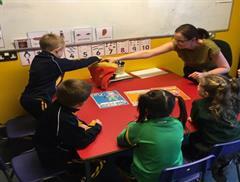 Cór na scoile ag ceol ag Halla na Cathrach! School Choir singing at turning on of Christmas Lights at City Hall! 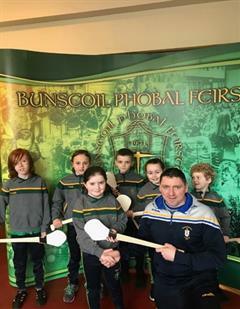 Comhghairdeas do chór na scoile a cheol os comhair na mílte daoine ag halla na cathrach oíche Shathairn ag lasadh soilse na Nollag! 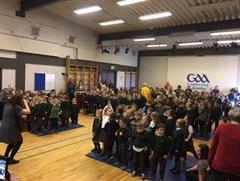 Comhghairdeas do chór na scoile a cheol os comhair na mílte daoine ag halla na cathrach oíche Shathairn ag lasadh soilse na Nollag! Bhí siad go hiontach. Bhí sé ar fheabhas Gaeilge ghleoite ár bpáistí a chloisteáil san aer agus iad ag ceol liosta amhráin Nollag BPF ar nós ‘Rudolf an Fia Rua’ ag halla na cathrach. Maith sibh a pháistí agus a mhúinteoirí! Bhuail siad le hAndy ó CBebbies, chomh maith le Chase agus na eile carachtair ó Paw Patrol agus bhí Fireman Sam ansin fosta! 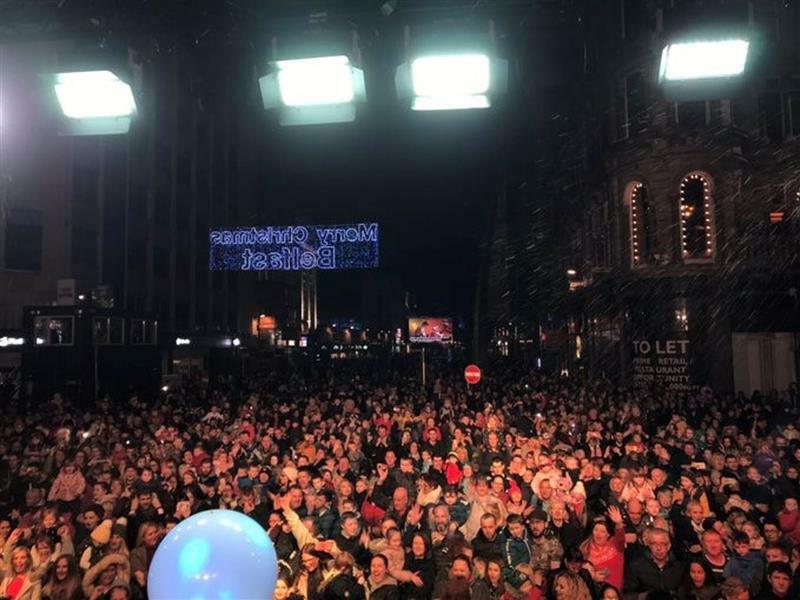 What a show our School choir put on on Saturday evening at City hall at the lighting of the Christmas lights in Belfast! 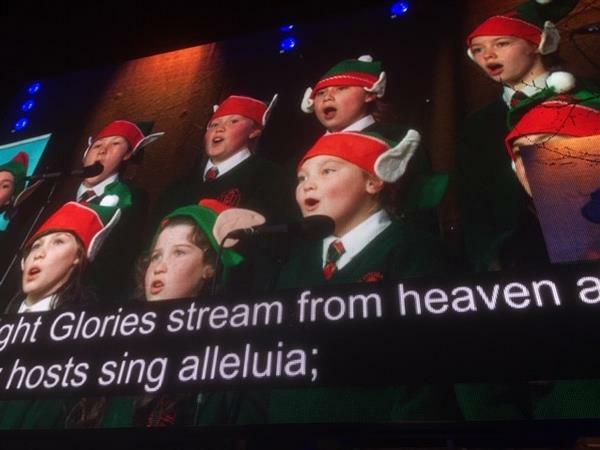 Our pupils sang our famous BPF Christmas classics list as Gaeilge including ‘Rudolf an Fia Rua’ and it was brilliant to hear the 12 thousand people in attendance sing along with us! 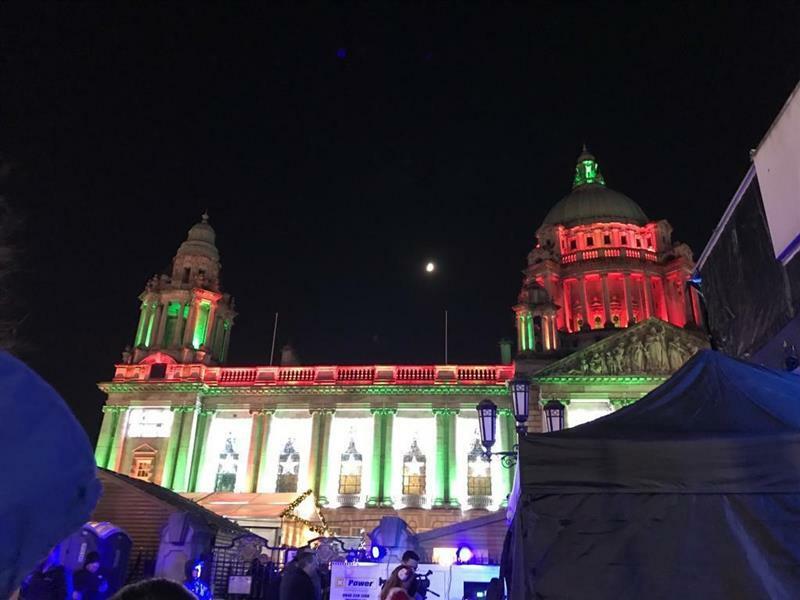 Many thanks to Lord Mayor Deirdre Hargey for the invite and for lighting City Hall in our School colours!